Architect: Puchlik Design Associates, Inc.
Electrical: N.A. Cohen Group, Inc. The World Health Organization estimates that every year 40 million patients worldwide need palliative care at the end-of-life. While the need for end-of-life care facilities is self-evident, many medical facilities refrain from dedicating a department to palliative care due to financial constraints. The end-of-life patient often goes in and out of hospitals, eventually ending up at emergency departments. In response to the increasing need for in-patient palliative care, Providence Holy Cross Medical Center and Puchlik Design Associates (PDA) Architects set out to develop a palliative care suite as a pilot program. The goal was for the hospital to provide a financially viable option for healthcare providers, while creating a dignified space for end-of-life patients to receive continuous care in preparation for next steps in their life’s journey. The project resulted in a flexible and state-of-the-art, semi-private patient room situated within a fully occupied med-surge floor of a hospital tower that encompasses all aspects of specialized care, human dignity and family inclusion within a soothing and tranquil environment. In this presentation, the clinician and designers will share their collaborative experience and will conclude with one doctor’s vision for the future of palliative care and a blueprint for action. Identify needs and considerations of patient, family, and clinicians in room layout and space planning. 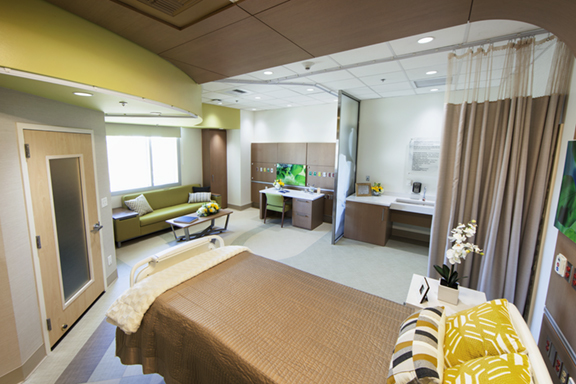 Explore layouts, finishes, and technology that help create a sense of independence and comfort for the patient. Evaluate design and operational strategies used for optimal end-of-life care delivery. Discuss the design team coordination efforts through all project phases including lessons learned from a year and a half of operation. Gerald Puchlik, AIA, ACHA – Principal, Puchlik Design Associates, Inc.
A Principal of PDA since 1981, Gerry’s architectural expertise includes healthcare, education and long-term care design. 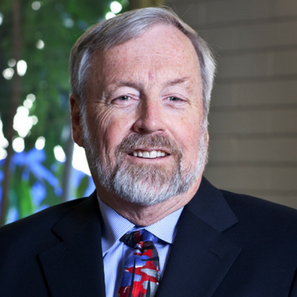 Gerry’s involvement in numerous organizations includes the AIA California Chapter Healthcare Committee, having served as its Chair in 1997-1999. As Chair, he was instrumental in assisting the state in creating guidelines for Senate Bill 1953, which mandated seismic retrofit standards for California’s acute care facilities. Gerry continuously counsels the California Department of Health Services and the State Fire Marshal in revising building codes and is a participant in seminars, panel discussions and workshops as a leading authority on healthcare facilities design and industry trends. Gerry’s expertise is enriched as Chair of the Board of Governors at Providence Holy Cross Foundation where reviewing key strategic business and financial decisions broadens his understanding of the challenges facing hospitals today. 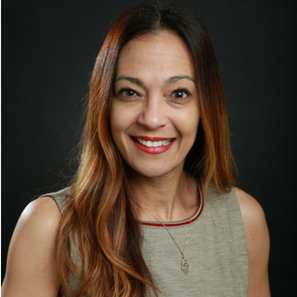 Dr. Kilani attended UCLA for undergraduate studies and UCSD School of Medicine before training at Los Angeles County USC Medical Center in Internal Medicine, where she continued as a hospitalist. After 7 years in this field, Dr. Kilani found her passion in Palliative Care and underwent board certification in Hospice and Palliative Medicine in 2010. She is currently the Director of Palliative Care at Providence Holy Cross Medical Center. In addition to receiving multiple awards for her contributions, Dr. Kilani has spoken at over 35 national and international events, including the Right, Before I Die exhibition in Bruges, 2015. Dr. Kilani sits on several Boards, including OneLegacy Advisory Board, Providence Holy Cross Foundation, and Class Act Community Theatre. Furthermore, Dr. Kilani is currently studying to obtain an MBA in Health/Health Care Administration Management. Introduce Herman Miller’s systems-based, adaptive approach and history in healthcare design. Introduce Nemschoff’s deep understanding of caregivers and how they influence our products and solutions. Bring to life complete settings and environments, in the context of places of welcome, work, and care within healthcare facilities. Equip sales teams with a digitally-enabled space for presenting and collaborating, to get the most of their client visits. ACKNOWLEDGEMENTS: Herman Miller – for hosting the event, Providence Holy Cross Medical Center and Providence Holy Cross Foundation – clients, Rita and Louis Garasi – gracious donors who funded the construction, and Dr. Marwa Kilani – client and Medical Director of Palliative Care at Providence Holy Cross Medical Center. The entire design and construction team, and all of whom donated their services including: dTank Architectural Products, Johnsonite Flooring Products, KI, Mannington Commercial Flooring Products, Meyer & Reeder Millwork, Miles & Kelley Construction, Inc., N.A. Cohen Group, Skyline Design, USA Illumination Lighting Products, and Versa Wall Products.